2018 is all about slowing down and enjoying all the little things with my family. Being a WAHM has kept me very busy the last two years but I’ve learned to balance and take breaks when I need them. That’s helped me be able to focus on work when I need to and unplug to be with family when it’s their time. 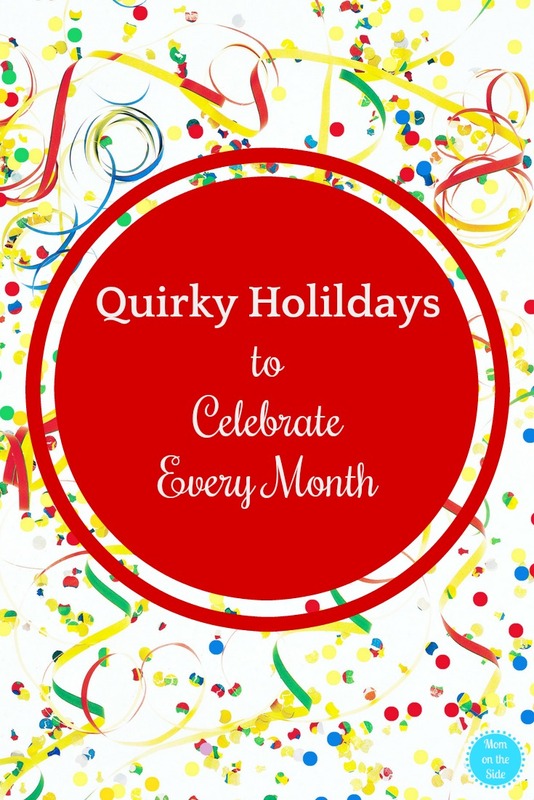 Celebrating some of the quirky holidays each month is a great way for me to make special moments with my kids. I’ve partnered with National Today who has huge lists of all the quirky holidays to celebrate every month. Whether you’re looking for some fun ways to make memories with your kids or need a great reason to convince your family you need some me time, there is a holiday for you! I’m sharing my monthly favorites below (Hello National Moscato Day!) and you can find all of them at NationalToday.com. My favorite January holidays are below and there are some pretty tasty ones! Here are a couple classic February holidays as well as some of my favorites mixed in. Get ready to celebrate these fun March Holidays this year! These are the April Holidays you’ll want to celebrate for 2018! Lots of fun stuff to celebrate with these May Holidays and it’s a special month because I’ll be another year older and wiser! There is more than donuts and dads to celebrate with these fun June Holidays! Get ready to fill your belly with all the July Holidays! Lots of ways to embrace summer with these August Holidays! Ring in fall with these quirky September Holidays in 2018! Trick or treat! Before that though, there are lots more fun October Holidays on the calendar! I enjoy all the shopping this month brings but it’s fun to slow down and enjoy the other interesting November Holidays too! It might be the end of the year, but you can still fit in lots more December Holidays to celebrate before the New Year! Find all the holidays for every month at NationalToday.com to fill your year with fun and quirky celebrations!